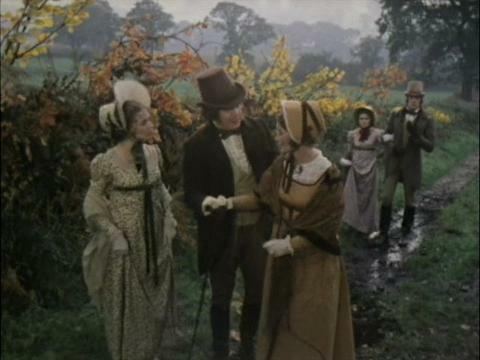 The Musgroves in the 1971 BBC version of Persuasion. I have a confession. It’s rather big and shocking. I’d prefer it if you didn’t judge me, but I’ll understand if you do. I’m a Jane Austen fan… And I have never read her books. Well, technically, I’ve never finished one of her books. See, I grew up with a sister who is an avid Jane Austen fan. Because of this, Pride & Prejudice (the 1995 version!) marathons were a regular occurrence in our household. One would never be surprised to hear my sister imitate Lizzy Bennett’s harsh line – ‘I had not known you a month before I felt you were the last man in the world whom I could ever marry’. For a while, the hero that was Mr Darcy was all I knew. Until I came across the 1996 adaptation of Emma. I have no doubt that this was where my yearning for a childhood sweetheart began. The friendship-turned-marriage between our flawed, beautiful heroine and her silent guardian made my heart soar. But, of course, I couldn’t connect to the character of Emma because contrary to what I stated earlier on, I am in fact a lover of books and the indoors. It was years later that I discovered a true gem – Persuasion. Now, I have had my share of heated discussions as to why Persuasion has the best storyline of the Austen collection. The opposition’s argument is always that it is, to put it plainly, “boring”. Amanda Root and Ciaran Hinds in Persuasion (1995). Reader, I ask you: how can the story of a rekindled love be “boring”? How can you see a couple so affected by each other’s presence and call them “boring”? How is it that you swoon over Noah’s persistence to stay by Allie’s side in The Notebook (and I do acknowledge that some of you do not, in fact, swoon) and call Anne’s longing to be with Frederick “boring”? Perhaps it has to do with Amanda Root and Ciaran Hinds’ stellar performance and undeniable chemistry, but I cannot dismiss the beauty and wisdom of Persuasion. The dialogue that had me squealing around the house, stopping breathless in front of the computer screen to hear him say one more time, ‘You pierce my soul. I am half agony, half hope. Tell me not that I am too late’. It saddens me at times that the angsty, soulful sailor does not exist. But, Anne? 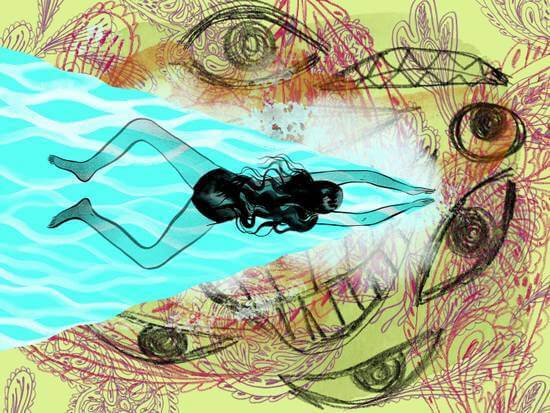 She exists in me. She embodies the hopeful feelings that come with the respect and admiration for That Guy. She realises my dream to be considered special in an entirely breathtaking way by someone. That is why I love Jane Austen. Not because she created Mr Darcy, but because she observed that some of us ‘love longest when all hope is gone’. Rayanne is a speech and hearing sciences student at Macquarie University. She is passionate about languages, romance and Korean dramas.